If you are curious as to what limited edition pets are found in Neopia, below is a list of the rare limited edition pets (in alphabetical order of course): Chomby, Cybunny, Draik, Hissi, Jetsam, Kiko, Koi, Krawk, Lutari, Poogle, Tonu. We all know limited edition pets are somewhat difficult to get. 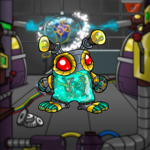 Rather than paying hundreds of thousands of neopoints for an expensive morphing potion or hoping someone will trade their Krawk or Cybunny for that cute little Shoyru you have there, there are cheap, efficient, and possibly free ways to get your own limited edition pet! Now you must be excited and wondering how can I obtain such pets at such a low cost or possibly even free! Let's start off with the completely free but time consuming way to get your very own limited edition pet. As you enter Pet Central, you will notice a calendar with an array of special events scatted across the year. You can also view the full calendar located in the drop down menu of Pet Central. Here you will notice special pet-oriented days such as “Tonu Day” or “Meerca Day”. Remember when I said obtaining a limited edition pet takes time and effort? Well, it does. Here comes the tricky part. Locate your desired pet’s special day and make note of it. If it is coming up, you are in luck! Hopefully you didn’t miss it. Now you must be wondering, I have this day and how will it help me? Well, when this day comes, you may want to devote that day to your soon-to-be limited edition Neopet. 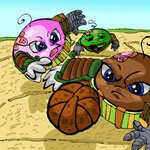 On the Neopet’s special day, TNT will periodically release a set of creatable Neopets throughout the day. You, the dedicated and loving owner, can then create your very own limited edition pet! But be quick, as these can go fast. Although Krawks have their own day, they may not be created via this method. 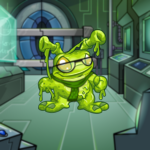 These Krawks are unique to where they evolve from the petpet Krawk. Now for you lucky Neopians in possession of a Krawk petpet, you may hatch your very own by feeding it cave fungus located on Krawk Island. Krawks can also be obtained via expensive Morphing Potions, Transmogrification Potions, and magical plushies. Again, Draiks are special pets unable to be created via “create-a-pet”. Similar to all other pets, these majestic dragons also can be transformed through morphing and transmogrification potions. Of course, Draiks also have their own method of creation. At the Meridell Food Store, Draik eggs are available in five designer colors (red, blue, green, yellow, and Darigan). If you are lucky enough to snag one of these from the store, then it will serve as a much cheaper option to make a Draik. Once you have a Draik egg in possession, head on over to the Draik Nest and hatch your egg! If you do take this route, be sure to have plenty of neopoints on you, as Draik Eggs are still quite expensive! Lastly, the infamous Lutari. Aside from being limited edition, Lutaris are extremely difficult to obtain. Like many of the other limited edition pets, the Lutari is able to be created via “create-a-pet”. Okay, okay, so what is so special about Lutari? Well, if you didn’t know, Lutaris cannot be pounded or transferred! As they despise the pound, they simply run away when they are abandoned. This makes the Lutari notoriously hard to get. There is also the essentially “free” way to acquire the famous Lutari! By signing up for Neopets Mobile. Q: Are there any other ways I can get a cheap limited edition Neopet? A: That’s an easy one. Morphing potions. Q: I thought those were expensive! A: Not all of them! Oddly enough, some morphing potions are actually quite cheap! If you ever wanted a Koi and their day has passed, Orange Koi Morphing Potions are quite affordable! Don’t believe me? Check the shop wizard. If that is still too expensive, if you have the patience it is possible (though very rare) to purchase special morphing potions at Kauvara’s Magic Shop. They can be somewhat expensive, so make sure to have plenty of neopoints in hand. Q: I want a limited edition Neopet but I don’t care which one! A: This can be achieved! Though expensive, this item can be obtained free of charge! A: At a certain level of Underwater Fishing, you can obtain the Mysterious Swirly Potion. This transforms your pet into a random limited edition neopet! There are restrictions. If your pet’s painted color is not available in the pet it turns into it will turn into a random default color. Q: You mean I can get a Krawk or Draik from this? A: No, the Mysterious Swirly Potion is restricted to the following pets: Kiko, Koi, Cybunny, Chomby, Tonu, Poogle, Hissi and Jetsam. Here is another way to get a hold of a cheap limited edition pet. A magical plushie! These are available in the Toy Shop for somewhat cheap. Simply by playing with a magical plushie, your pet will turn into that pet. Magical plushies are only available in a few limited edition species. They include Chomby, Cybunny, Kiko, Koi, Krawk, Poogle. When buying these plushies, MAKE SURE they have MAGICAL in their name. Lastly, there are two other ways to hopefully pick up a Limited Edition pet! Now I have to warn you, these methods can be time consuming and possibly without success. The Neopian Pound occasionally houses limited edition pets recently abandoned by their owner. You may be lucky enough to adopt the pet! Next is the ingenious (not to mention expensive) Secret Laboratory Ray. This special ray can zap your pet into a limited edition (as well as the normal) species. But don’t count on it to happen instantly, these occurrences are quite rare. With all this being said, I hope my guide has helped you realize the possibilities for you to obtain a limited edition pet. Now go out there and get your very own pet! That was the first and only time I came face to face with Dr. Frank Sloth.